Toyota Industries Engine India (TIEI), a joint venture between Kirloskar Systems Ltd. (KSL) and Toyota Industries Corporation - Japan (TICO), in India, has announced the inauguration of a new engine production plant at Jigani Industrial Area, Bengaluru. The new plant will manufacture powerful and high performance Global Diesel (GD) Engine featuring Economy with Superior Thermal Efficiency Combustion (ESTEC) technology, which contributes to enhanced fuel efficiency. Spread across 22 acres with an investment of Rs. 1,100 crore, the engine manufacturing plant operates with a production capacity of 108,000 units/year and manufactures 1GD-FTV 2.8 litre and 2GD-FTV – 2.4 litre engines in compliance with BS 4 / Euro 4 emission standards with an additional provision to upgrade to BS 5 and 6 / Euro 5 and 6 with minimum investment and lead time in the future. Toyota Industries Engine India (TIEI) plant, the new state-of-the-art facility is the first GD Engine Plant of Toyota in India and third globally, after Japan and Thailand. The new plant was inaugurated by the Chief Guests Siddaramaiah, Chief Minister of Karnataka, Government of Karnataka, Anant G Geete, Union Minister for Heavy Industries and Public Enterprises, Government of India, and graced by Guests of Honor R.V Deshpande, Minister for Large and Medium Industries and Infrastructure Development, Government of Karnataka, D.K. Shivakumar, Minister for Energy, Government of Karnataka, T.B. Jayachandra, Minister for Law and Parliamentary affairs, Government of Karnataka in the august presence of Toshiyuki Mizushima, Senior Managing Officer, Toyota Motor Corporation, Japan, Akira Onishi, President, Toyota Industries Corporation, Japan, Taku Yamamoto, Chairman, Toyota Industries Engine India, Kiyotsugu Kurimoto, Managing Director, Toyota Industries Engine India, Vikram S Kirloskar, Vice Chairman, Toyota Kirloskar Motor and Director, Toyota Industries Engine India. T R Parasuraman, Deputy Managing Director, Toyota Industries Engine India, A. Tachibana, Managing Director, Toyota Kirloskar Motor Pvt. Ltd. and Shekar Viswananthan, Vice Chairman and Whole-time Director, Toyota Kirloskar Motor Pvt. 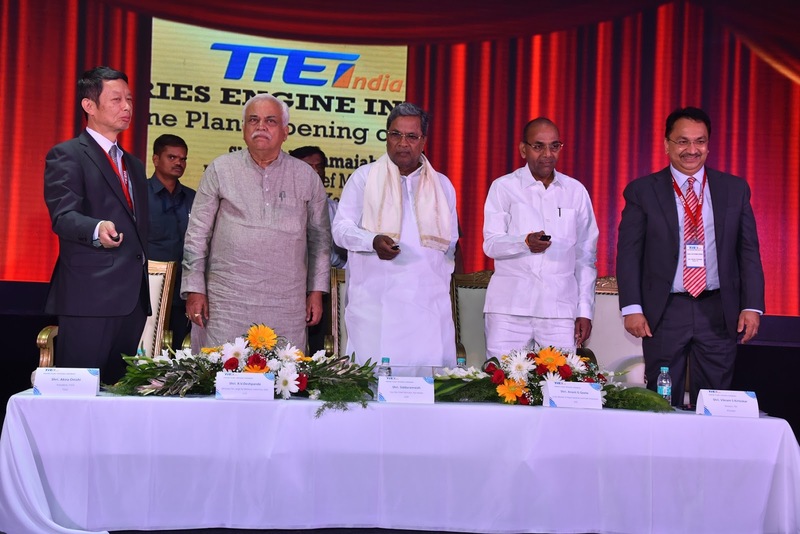 Ltd.
“We hope to grow together with the local community and ramp up the process of manufacturing cars in India with readily available diesel engines made from our new Bengaluru plant”, he further added. The 2.4 litre and 2.8 litre engines equip Manual Transmission and Automatic Transmission of Innova Crysta respectively. The 2.4-litre 2GD-FTV engine is 47% more powerful and 13% more fuel efficient. And the 2.8-litre 1GD-FTV engine is 71% more powerful and 7% more fuel efficient, in comparison to the earlier used 2KD engine. The Indian Automotive Market is the fifth largest in the world and 40% of the cars sold are diesel vehicles. 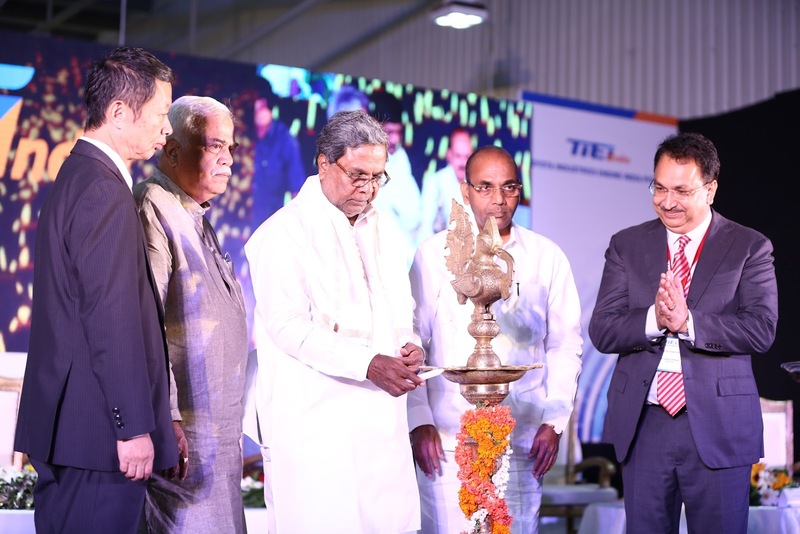 The new diesel plant in Bengaluru will further boost the employment opportunities in Karnataka, generating need for skilled manpower in the industry. This will create a convivial environment for foreign investors to further invest in the State.